Davison guested for Exeter City during the 1945-46 season. 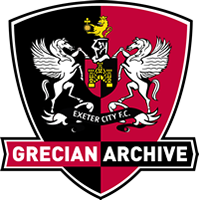 He played one game for the Grecians in a 5-1 defeat at Cardiff City in February 1946, in a Division Three South (Southern Section) cup-tie. He had signed for Stockport County in Septemebr 1945, but never played a league match for them. Davison then moved to Torquay United in November 1946 and appeared in one Division Three South fixture for them, a match on Christmas Day 1946. Torquay lost 6-1 to Crystal Palace at Selhurst Park in front of 11 786 spectators.